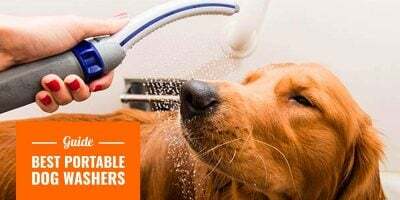 6 Best Dog Clippers for Professionals + 2019 Buying Guide! Are dog clippers different from human clippers? Why are my dog clippers not cutting? Do dog clipper blades need to be sharpened? How long should dog hair trimmers last? Why do dog clippers get hot? What dog clippers do professionals use? What are the most popular brands of professional dog clippers? While people have hair, dogs have fur. This is why many owners and professional groomers use the best dog clippers money can buy to keep their dog’s coat smooth. 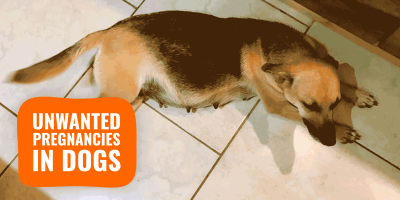 If your dog’s coat is thick and heavy, he may spend the entire summer being too uncomfortable. Professional dog clippers allow you to trim your dog’s coat so that he remains comfortable without all that fur getting in the way. Dogs deserve to look good too, but over than the look, dogs deserve to feel good and comfortable. We’ve split this into two clear sections. 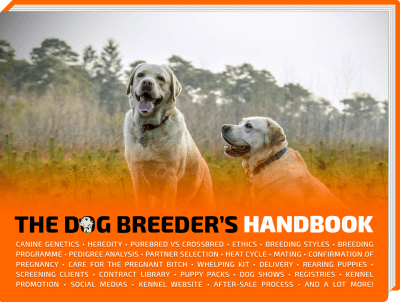 First, the buying guide gives you the points to be attentive about when choosing professional dog clippers. Before clicking any of the below links, read through our buying guide below so you know what actually matters when choosing professional pet clippers. Indeed, the design is what most buyers go by but they could not be any more wrong. Clipper blades, rotations per minute, heat dissipation, noise volume, housing, all these features matter a lot. Whether you are wondering which dog clippers are the quietest, and which ones are best for poodles, schnauzers, this comprehensive guide will help you choose the best product for you. There is no single best product but there is a bunch of them clearly dominating the market for great reasons we explain in this blog post. List of the top 6 best dog hair clippers in 2019. 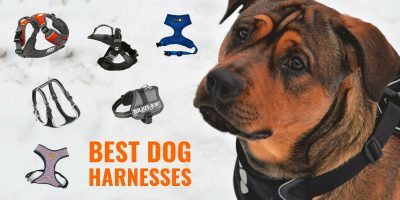 On top of this crucial first criterium, there are several features and characteristics that should help you pick your new quality dog clipper. And because we’re nice, we’ve listed them just here, below. When cutting through coarse and matted dog coats, your dog clippers should cut through very smoothly. If not, they aren’t powerful enough to clip dense dog coats. Such requirements are usually expressed in Rotations Per Minutes, or RPM. It’s basically how many times in a single minute does the motor fully rotate. The best professional dog clippers often offer a lot of power and high rotations per minute, but very rotary speed inevitably generates a lot more vibrations and noise. If you are using the clippers for a while at full speed, your dog may even be discomforted by the heat emitted by the clippers. 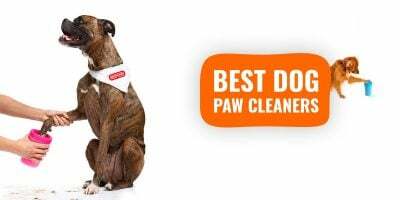 So as a dog owner or groomer, you need to find the best dog clippers offering the right balance between power and speed versus noise, heat, and vibrations. If you work as a professional groomer, you will most likely by two different products: quiet dog clippers and professional dog clippers. But if you are just a hobby user, you may want to get yourself variable-speed clippers so you can adjust depending on the task at hand. Bulk trimming can be done at high speed while precision work will be done at the lowest speed setting. So ideally, you want to buy hair clippers adapted to your dog’s coat so you don’t buy into an overkill. They should cut smoothly while remaining quiet and cool for longer, and vibrate as little as possible at low speed. Other points to keep in mind are the size and the weight of the clippers as they will both certainly make a huge difference. Most modern clippers and all of the ones listed below have been designed ergonomically so your hand enjoys the hold, for long durations. A lighter and more compact dog clipper will make maneuvering around the dog a much easier task, and if you are grooming several dogs quite often, this becomes a priority. Lightweight dog clippers allow you to avoid wrist fatigue, for example. However, the lighter the clippers, the more the dog and yourself will feel the vibrations, especially with powerful dog clippers at the highest speed. You may naturally lean towards a cordless dog clipper, purely for its convenience and it is indeed easier to work with especially for hard-to-reach spots. But on the flip side, you will have to charge the battery pretty often as they tend to run out after an hour. With intensive use, you may end up charging it constantly and wear out the battery in itself. Cordless dog clippers are also slower, so your dog’s coat has to be pretty soft and supple. Think about that before opting for a cordless pet clipper. There is no right and wrong here, it is just a matter of personal preferences and suitability for your situation. The advantage of cordless dog clippers is that you can use them with or without the cord; something you cannot do with corded dog hair trimmers. Dog clipper blades have enormously improved over the last decade kudos to new metal alloys and laser technologies. However, it brings up the issue of the compatibility of those clipper blades. Some brands can use interchangeable blades that are available pretty much everywhere which drives their price down while other clippers will use specifically-designed blades only available from the manufacturer. Most of the truly best dog clippers for professional groomers tend to come with their own proprietary blades. Note that depending on how often you will use the clipper, blades may require frequent changes to keep a sharp quality of cut. Ceramic blades are recommended but they also are amongst the most expensive blades on the market. This is because they do not conduct heat much so they are perfect for long grooming sessions. If your pet hair trimmers are not regularly and properly oiled and regularly maintained, the clippers’ teeth and the blade will lose quality and get dull. The blade will offer an uneven cut, and miss many hairs, or even cut the skin and nip the hair. The dogs won’t jump off the grooming table right away, but it may be uncomfortable for them. This is why it is extremely important to check what oil is recommended for your precise clipper. This information is commonly available on the manufacturer’s website, or online on forums and Q&A’s. Useful to provide an even trim all around the dog’s body, snap-on comb sets are coming in various sizes and materials. They are all pretty good so what will matter is the size of the hair you are going to trim. You will probably find 5 to 10 comb guides in a set, but end up using a couple only. The width of your blade and clippers’ head must allow the comb/guide to fit in perfectly and snap on securely. So, now, let’s see what are the best dog clippers for professionals! 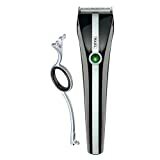 Each trimmer reviewed below has a particular use scenario where it shines: cordless, bulk trimming, finish works, value for money, etc. It’s hard to write a blanket statement about which clippers are the best, but we ranked them in terms of quality, price, versatility, ergonomy, and more. Here is our unbiased review of the top 6 best dog clippers available! A heavy-duty multi-speed corded dog clipper that has been built using the lightest materials to make it become the lightest heavy-use clipper out there. Roughly 6.5in (16cm) from top to bottom, it is not the smallest clipper out there but its light weight compensates its rather bold size. The blades used are number #10 ceramic-edge blades but you are definitely able to use other blades from other major manufacturers, such as Oster and Wahl. We recommend keeping ceramic blades as they stay sharper longer and they run at a much lower temperature and avoid excessive heating compared to steel running on steel. The Andis Super AGR+ Clipper operates at 3800 strokes per minute and comes with a ceramic-edge blade which makes it perfect for long uses as it remains cool. You can, however, use other universal blades with it. Comb guides and blades are detachable so you can easily swap or replace them. Although measuring 7.5in (19cm), this clipper compensates thanks to being cordless. You will be able to go through the whole body without any problem. A full charge takes around an hour and a full battery lasts over an hour. 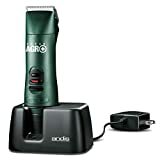 You can turn this cordless clipper into a corded clipper very easily, it will, however, require the purchase of an Andis cord pack. 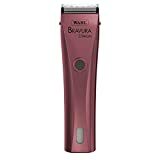 Available in pink, purple, and gunmetal, the Wahl Bravura Lithium clipper is a beautiful tool. It holds itself very well and definitely feels sturdy. It is lightweight and quiet thanks to its low vibration technology. The MiniBrav+ is even more of a silent clipper for anxious dogs. Each clipper is supplied in a hard case. Coming with it are a charging stand as well as a detachable blade kit. Additionally, snap-on attachment comb for the BravMini, cleaning brush, clipper oil and instructions are to be found in the case. It was going to be our all-around professional dog clipper winner but it missed it simply because of its single speed. 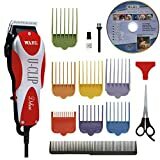 The Wahl Motion professional clipper provides a lot more torque than its competitors — a dog’s back and neck tend to grow thicker hair and most clippers will struggle a little but the Wahl Motion will kick in a gear that will make the whole clipping an extremely smooth experience for both the dog and the groomer. Look-wise, this is perhaps the most eye-catching clipper currently available. It boasts a new slim design with an exceptionally lightweight case. 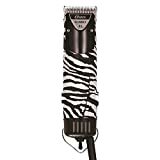 Wahl Motion clipper is amazingly quiet and has no vibration yet is very powerful with up to 5,500 strokes per minute. The Wahl Motion offers a removable handle that is “scissor-grip style”. It allows for great control and ergonomy. All in all, it is a better version of the Bravura but also more expensive. Weirdly, in the United Kingdom, the Motion seems cheaper than the Bravura… So it’s a no-brainer! The Oster A5 is a corded dog clipper offering decent features, power, and is also pretty durable considering the price. It delivers 3,000 strokes per minute on low speed and 4,000 strokes per minute on high speed. Because hair trimmers are such an important purchase for any dog owner and dog groomer, we wanted to answer your frequently asked questions. Hopefully, you won’t have to scour the entire web in order to find the right answer! Dog clippers are designed and engineered very differently from human clippers. Dog clippers are designed with silence and low vibration in mind. Additionally, clipper blades for dogs must remain cooler for longer due to dogs’ more sensitive skin. 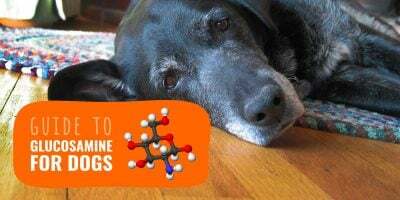 If you have mistakenly used human hair clippers on your dog you realized the discomfort, more than anything more serious. Yet, using human clippers for an extended period of time could result in skin burns and severe distress due to the loud noise. Clippers engineered for canines are also using special motors that can adapt to different coats (e.g. matted, thin, undercoat, etc). Common causes of a lack of clean cut from dog clippers are unsharpened blades, deficient motor, or a near-empty battery. Dog clippers require regular maintenance in order to offer a first day-like clipping. Dog clipper blades are often the culprit and you can read our guide to pick the right blade for your model. Indeed, most manufacturers use their own proprietary design that requires you to source any replacement blade from them. And usually, these have a higher purchase price but are made by the manufacturer itself which is convenient. Before clipping your dog’s hair, make sure you properly clean, rinse and dry his coat. That way, you make it smoother and softer for your clippers to cut through. All dog clipper blades, regardless of their brand, require regular sharpening and oiling. Routine maintenance for blades will extend the lifetime of the blade and help them keep their ideal cutting for longer. Sharpen the blades once your pet clippers start nipping and plucking the hair rather than cutting through. Blades should be rinsed, dried, and oiled after every session. It takes a few seconds and will save you a fortune by keeping you from buying expensive replacement blades every few months. Blades can be made of various materials, some like ceramic or titanium remain sharp for longer. These tend to be more expensive to buy but have a longer lifespan. On the other hand, we found that steel blades are cheaper but do not stay sharp for as long. 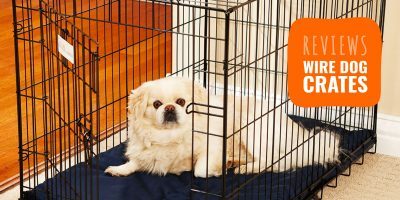 Steel blades tend to heat up fast as well which can be a problem considering dogs’ sensitive skin. The lifetime of dog clippers is based on your usage pattern, the model you picked, and how effective the maintenance has been over time. Dog clippers have many parts that can let you down. On the top of my head, there are the blades, the battery, the charger, the motor, and the housing itself. Some of these pieces are replaceable but considering the price points of spare parts, you are better off buying a brand new product. 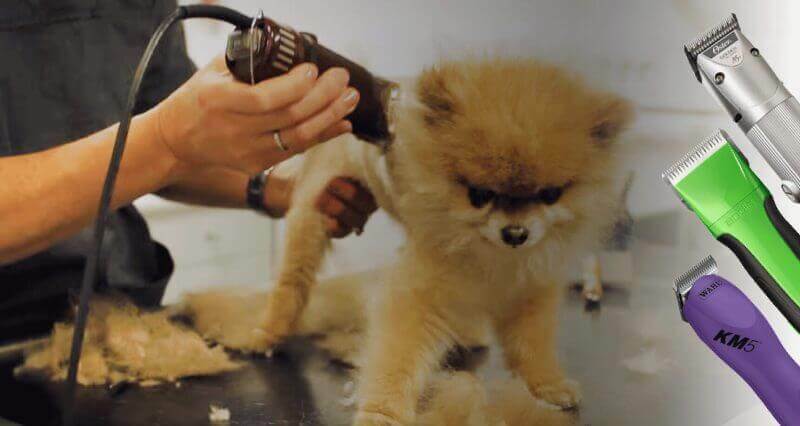 Additionally, if you are a professional dog groomer using your amazing dog clippers for 3 hours every day, you will need to change them a lot sooner than a breeder using his once a month for a couple of hours. For cheap models under $50, expect them to last a few months. Premium and professional dog clippers priced anywhere from $150 to $3000 expect a working lifespan of at least two or three years with good care. Dog clippers inevitably get hot because motors rotate thousands of times per minute, emitting a lot of heat. Additionally, dog clipper blades touch themselves during each cutting motion which also causes heat to form. In order to cut through a dog’s coat, grooming clippers need the motor to rotate with enough torque to move the blade fast enough. This is measured in rotations per minute and it is usually counted in thousands. Most of the best dog clippers offer between 5,000 RPMs and 12,000 RPMs. By rotating so much, the motor will emit heat. Doing it for a couple of minutes won’t heat up much, but for longer sessions heat will inevitably increase unless you are using professional grooming clippers that dissipate heat properly. Dog clipper blades also create a lot of heat and could cause skin burns on sensitive dogs’ skin. This is why manufacturers continuously race to find materials that remain cooler without losing in precision and durability. Professional dog groomers own many different dog clippers for various types of grooming works. Low-heat and silent clippers are preferred for sensitive areas while bulkier and heavier-duty models are used for bulk trimming. If you are wondering what dog clippers do groomers use, know that groomers in a salon receive dogs of different shapes and sizes. You do not clip a Komondor (the dog with dreads) like you groom a Pomeranian show dog. Even in the same dogs, different dog clippers will be used at different stages. This is perhaps the main difference between grooming your own dog at home and letting a professional handle it. They have a wide range of tools whereas an average dog owner, you would only really own a single trimmer. The most popular brands and manufacturers of dog clippers are Wahl, Oster, and Andis. All three companies have operated for years in both hair and grooming salons. With such experience, they have iterated over time and currently offer dozens of products each. There is not one brand that is better than the other, it all depends on your personal preferences (ergonomy, habits) and what exact type of clippers are you after. Some offer amazing silent dog clippers while others favor premium heavy-duty grooming clippers. 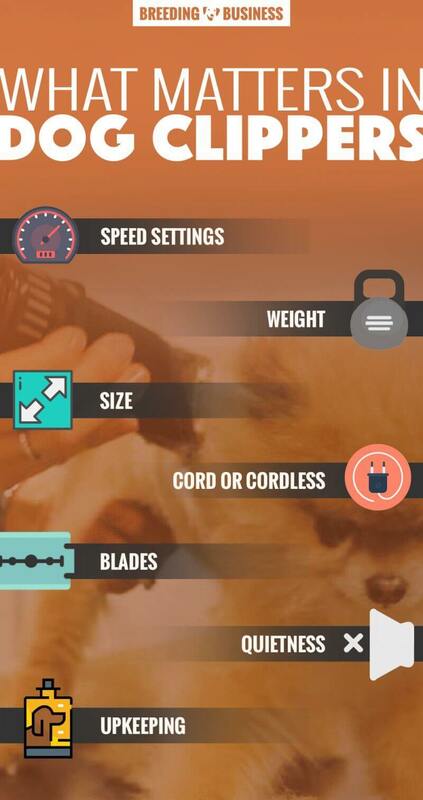 Infographic: what matters when picking the best dog clippers for professional groomers. As you can see, there are a few features to focus on when deciding on what best dog clippers to buy, but keep in mind that Andis, Wahl, and Oster are ahead of the competition in terms of quality of professional grooming trimmers. We hope you have found your new favorite professional dog clippers, make sure to always apply the recommended oil to maintain a top quality of cut throughout. Two brands are very well-respected in grooming salons and human hairstylists so we also decided to compare them in our face to face review Andis Dog Clippers vs Oster Dog Clippers. Very good as well indeed! Andis is still the go-to options unless any specific needs. I have a set of heiniger Safire cordless clippers, still under warranty, charger stopped working. Need to buy a spare set, so in a dilemma ! Do I buy the same? Or should I buy oyster cordless 300 series? I have a standard poodle with a very thick curly coat. I own an Andis and Oster Turbo A5 2 speed. Both clippers get very hot. I want to purchase a new clipper, but want one that really runs the coolest. What is my best choice? These dog clippers are pretty good models. I really love mine to be multi-speed just to have a wider range of trimming modes. Such a great list of the best dog hair clippers currently available. I am a dog groomer myself so this was very helpful as we soon have to renew and change our eight old hair trimmers. Thanks! Always good to have a ready list of picks for your next dog clippers! Thanks for the love Janice. HI, i have a Brussels Griffon – 6 years old – she has been clipped 2 times and scissor cut a number of times, so she no longer has the wire hair. (never handstripped). i am having a very hard time finding out if her breed is a single or double coated breed. She is the rough coat, not smooth. It is my understanding that i need to get the right type of clippers to handle her coat based on single or double? so that was question 1 – what type of coat do rough coated Griffs have. Second question – based on that, what clippers do you recommend above or any others? Hi, I have been grooming for 14 years. I would recommend finding a groomer that knows how to hand strip. Brussels are known for their hard wired coat. That undercoat needs to be stripped to encourage the wired hairs to grow. Clipping produces the fine hairs that you see now. Hi, thank you for the informative article. I have a three-year-old Yorkie and now I want to get a clipper so I can touch here and there in between the sessions with the professional groomer. I was almost to buy the Wahl Bravura Lithium but then I saw you mentioned the Wahl MiniBrav+ as more silent. I would love to have a more silent clipper now thinking about the MiniBrav+ but I read elsewhere and they recommend it only for touch-ups and delicate work only. Can you tell me your thoughts if this is true and if it can handle the tougher jobs. My Yorkie has fine and silky hair so I guess I do not need the strongest clipper. I’m sitting on the fence wondering which one should I buy…Cheers! I used Wahl for 22 yrs as a Barber Stylist and they always served me very well! I switched careers and put them aside except for family use and still use them 30 yrs later. I love the long haired dogs and have used pro groomers for 30+ yrs until our last experience with yet another burn on my fur baby. He came home with 2 burns in very sensitive areas! So I will be trimming him for now on. Thank you for such a detailed description on available options, such a great report!! I’m going with the Wahl Bravura, possibly the Mini version. I think for home use of one deg, it will be perfect! Hi. I have a little Pomeranian cross and suffers very much from the heat with her thick hair. I bought clippers from Big W and find that I have barely started cutting and it stalls and is very hit as well. I end up using scissors which is tedious. What type or make of clippers do you suggest I buy to do a decent job of relieving my poor little girl. Lovely informative article. Which would the best clipper be for a Chow – extremely dense hair.